At some point, most dogs will need some type of grooming and the best way to make your dog look good is by using dog clippers. A nice wash and trim will not only make your dog look good, but it can help them feel better, especially in the hot summer months. Professional grooming costs can add up quickly. That is why many people are looking at home grooming as a more affordable option. This means purchasing a pair of reliable dog clippers for home use. Best dog grooming clippers are durable, efficient, easy-to-use, and cost-effective. 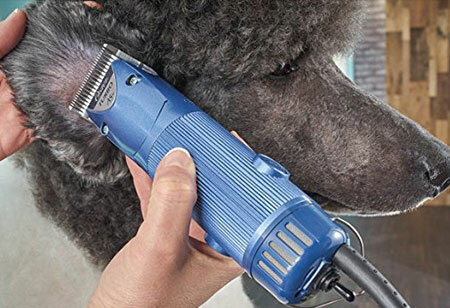 What to Keep in Mind When Buying Dog Clippers? Most people would start with a budget in mind. Budget is an important criteria without a doubt. 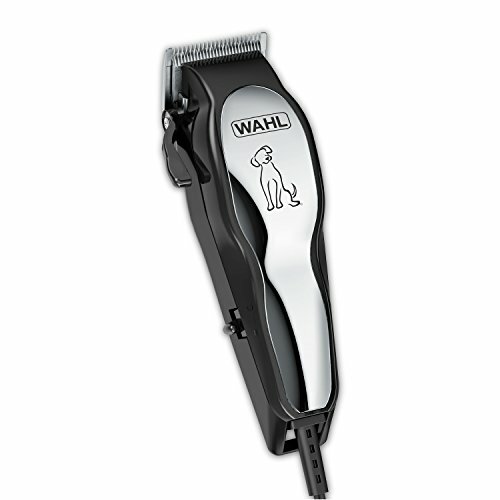 But if you want a quality dog clipper, then you must be ready to take some other features into consideration. Look out for clipper’s speed, weight, whether it’s corded or cordless, as well as some other options. Furthermore, you need to consider how thick is the dog hair. The thicker, the more powerful the clipper will have to be. 1. Corded or Cordless Dog Clippers? Cordless clipper is much more convenient and easier to handle. But you will need to charge it regularly or switch batteries. On the other hand, cordless are better for reaching spots that would be hard to reach with a corded clipper. Corded dog clippers tend to be slower, so your dog’s coat would have to be pretty plush and pliant. 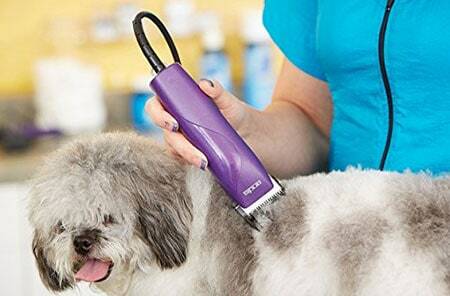 If you’re a dog owner which doesn’t trim very often, then a cordless clipper would be a good choice for you. If you’re a professional groomer, you should consider investing in a corded clipper. Simply due to the fact that the constant charging will become tiresome, not to mention time-consuming. 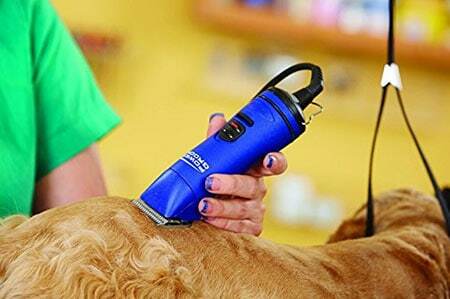 When it comes to distinguishing the high-end dog clippers from any generic, check Rotary Speed Per Minute. There are, generally speaking, two types of clippers. Single-speed and variable-speed dog clippers. The former would be a good choice for beginners, as they are simpler, and they tend to not overheat as easily as their variable-speed clippers. The latter type is ideal for experienced users, professionals and non-professionals alike, as it gives more control and allows for finer finishes. When you’re buying dog hair clippers, look for the ones with the quietest motor possible. It should be stated on the product info noise they produce. Or even better if you can test them by turning on. There is no big science around weight of dog grooming clippers. Light and compact models will make maneuvering around your dog and reaching hard-to-reach spots much easier. Choosing the right blade is very important. When it comes to choosing the material, the selection, roughly, comes to that between ceramic and stainless steel, or a combo. Some might even incorporate elements like titanium, carbon, chrome or silver, either as integral components or as a finish. Chrome finishing provides better resistance to rust. Whereas silver is used for its antibacterial and antifungal properties. Blades infused with carbon have a harder edge, while ceramic blades stay cool longer than standard blades. Clipper blades may also come in a few varieties with respect to their edging, with three types specifically designed for different results. Ultra Edge Blades are made of steel infused with carbon, which makes for a harder and longer-lived cutting surface. Show Edge Blades are made with special coating, and they are meant for smooth and sleek finishes. The Ceramic Edge Blades are designed to keep an edge and stay cool a lot longer than their steel counterparts. Now, as far as clipper blades go, you should bear in mind that most professional level clippers are made by Andis, Oster, Wahl or Laube, and that they all use the same type of Snap-On blades (initially developed by Oster). In other words, most blades will be interchangeable, so you can fit an Oster blade on your Andis clipper, and vice versa. There are a variety of sizes when it comes to clipper blades. These come with numbers which indicate the length of the blade’s cut, usually prefaced with a hashtag. In essence, the lower the number is, the longer the cut will be. For example, a #5 blade leaves a length of 1/4 of an inch, whereas #30 leaves only 1/100. One of the most used blades is #10, along with #5 (matted coat), #7 (heavy or very matted coat) and #15 (pads). Based on discussed features above, you should be able to know what to look for and purchase dog clippers per your needs. If, however, you would like to see some recommendations, check dog hair trimmers mentioned below. Oster Professional Turbo A5clipper features two different speeds, allowing groomers to get more power. It has a motor that provides 3000 strokes on low speed and over 4000 strokes per minute on high. This means it can handle even the thickest dog fur. It’s also marketed for use on cats, horses, and other animals. A nice feature of these clippers is the cool running motor. These dog clippers won’t get hot as you use them, even if you use them long period without stopping. The motor is very quiet and it is affordable considering everything it comes with it. Each clipper set will include the actual tool, a specific Oster CrygenX blade, a blade guard, blade oil, blade grease, a cleaning kit, and instructions for use. 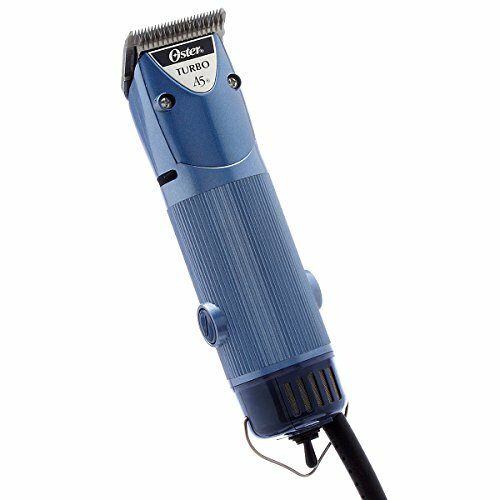 The Oster Golden A5 is yet another heavy duty clipper coming from Oster. It’s intended for grooming primarily dogs, but also cats, horses and livestock. 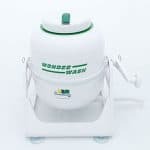 The motor under the hood is designed for commercial use, and is coupled with an internal fan which keeps it cool enough for a prolonged usage. However, the manufacturer does not recommend you use it longer than twenty minutes at one go. The clipper makes use of #10 CryogenX blades, and clips at a single speed of 2,100SPM. Once your first set of blades needs replacement, you can use any of the Oster A5 system blades and guide combs. Easily cuts through a thick coat. Break resistant and sturdy design make it durable. Noise free and cool blades. Although advertised for small dogs, it works well for larger dogs as well. Not recommended to use on a dirty dog. If you’re looking to get a decent bang for buck, then Andis EasyClip Pro-Animal Kit will be choice for you. What sets it apart from other clippers is the incredible deal. Not only do you get a clipper, but you also get a detachable ceramic blade, as well as a set of four different attachment combs for various coat lengths (1/8″, 1/4″, 3/8″, 1/2″), and durable hard storage case. As far as the clipper itself is concerned, it features a strong rotary motor operating at a single speed. It was designed with heavy coats and longevity in mind, so it comes with a ceramic blade, a sturdy and durable housing, as well as a heavy duty 12-feet cord. The PowerGroom plus line from Andis is made for the toughest jobs. With 5 different speeds ranging from 2500 to 5000 strokes per minute, this tool can be used on all kinds of dog breeds and sizes, with enough strength for even the most stubborn dog fur. An added benefit is that even though these clippers are made for thick coats and tough grooming sessions, they run fairly cool. This grooming tool can use a variety of different clipper blades, so you can customize your clippers for your needs. You won’t need to worry about the cord getting in your way as you groom, or finding a way to get tangled when you move. The Wahl Bravura manufacturer offers you a choice between going corded or cordless, at need. The lithium ion technology enables the Bravura to operate at full speed about 90 minutes before needing to recharge. Charging usually takes about 60 minutes, so for optimum usage, you should charge it fully an hour before using. The clipper has a more than adequate motor that operates at up to 5500SPM, all the while remaining fairly quiet. This makes it suitable for even some of the more sensitive pets. Bravura is even lightweight and ergonomic, so it doesn’t put too much strain on your hand. Grooming your dog at home has many benefits for you and your pup. It will surely save you money in the long run. Clippers can be a little expensive, but will pay themselves very quickly. When you’re choosing dog grooming clippers there are many factors to take into account. While one set of clippers may be better for your friend, they may not be the best for you. The features to keep in mind are: corded vs cordless, speed, size, noise, and blades. What you should have in your mind is your dog and his grooming needs. What is the texture of dog coat? Is it soft like a poodle, a Pomeranian, or a golden retriever? Or is it coarse like a german wire-haired pointer, an Airedale, or a Scottish terrier? How much will of your dog’s fur will you cut off? Do you need to perform just a trim or is it a bigger job? A dog with a thicker coat will require more powerful clippers. When you’re choosing dog grooming clippers, you must keep your particular situation in mind. There are many factors to take into account and while one set of clippers may be good choice for your friend, but they may not be the best for you.